To celebrate Fatal Approachs 1st anniversary and Brians 20th year as a call-maker, we are having a duck call give-away. 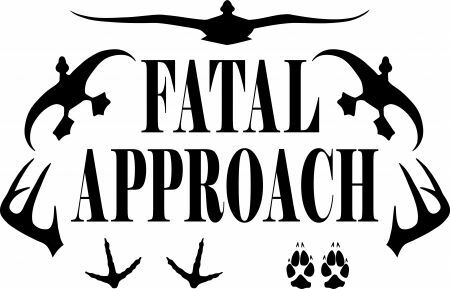 This is a great chance to receive a Fatal Approach Duck Call or Fatal Approach gear for free. The contest begins 3/2/2014 and ends 3/30/2014. There will be a random drawing on 3/31/2014 and winners will be notified shortly thereafter. Thank you to everyone that participated. We had thousands of entries! Watch for future contests. We are a custom call making company with more than 19 years of proven call making experience. We make high quality custom wooden and acrylic duck calls, goose calls, turkey calls, predator calls, grunt calls and other hunting equipment. We are focused on making the most realistic and effective hunting calls available. Every call is crafted from the finest materials and finished for a lifetime of durability and performance. Each call is meticulously tuned to produce lifelike sounds. Along with producing high quality products, we provide outstanding customer service to insure every customer is a satisfied customer. Fatal Approach Calls are Convincing Till the End!